If you are looking for a Main Plastering Contractor or a Plastering Sub Contractor with a large or small commercial project and are looking for a qualified, experienced individual or a small team, we would be pleased to provide you with our rates and availability. Based in Plymouth, we have been providing building developers, architects, project managers and private homeowners across Devon and Cornwall, with first class dry lining, plastering, spray plastering, rendering and plaster boarding services for many years. If you are managing building works yourself then we will sit down with you and work out how we will fit in with other trades and your project timescales as a whole, making sure that we arrive on site when we are needed and prepare for the finishing trades. As you would expect, we are fully insured and all our tradesmen are highly skilled and fully qualified. 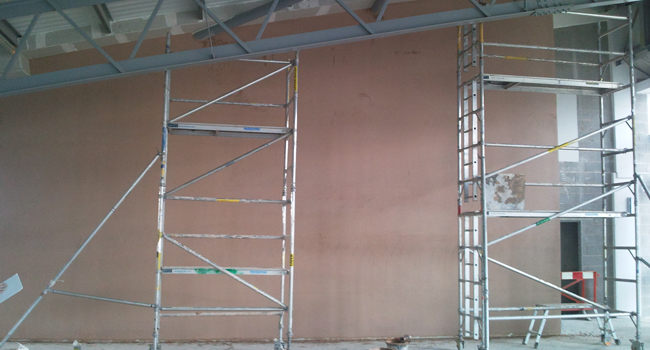 Scott Moore Plastering specialise in spray application of both internal and external systems. 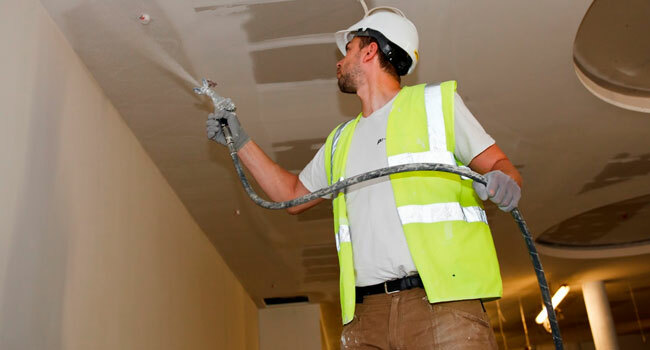 Our spray machines provide high quality finishes and saves time compared to traditional plastering methods. This increases profitability and productivity on projects. Our methods incorporate special attention being paid to the protection of windows, doors and floors during plastering. Therefore minimising the time required to provide a clean and tidy site ready for follow on tradesmen. We pride ourselves in our professional and reliable approach and we hope this comes across from our first meeting. Following a request for a quote from yourself, we would aim to visit your premises as soon as possible at a time that is convenient with you. 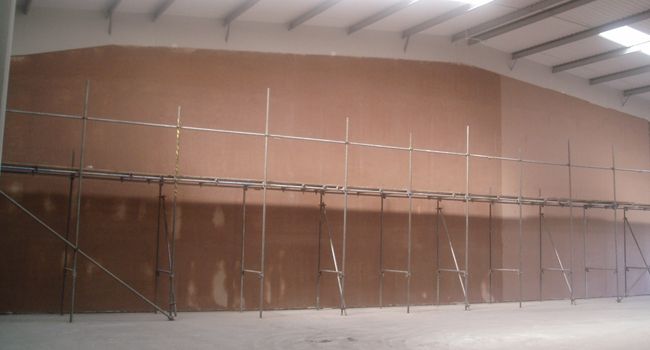 Scott Moore Commercial Plastering Services have extensive experience working on site with builders across Plymouth, Devon and Cornwall. Our plastering services are available on a sub-contractual basis to work on both small scale property refurbishments and larger construction and redevelopment projects. We have worked with numerous loft conversion specialists, home refurbishment companies and builders to provide high quality finishes. 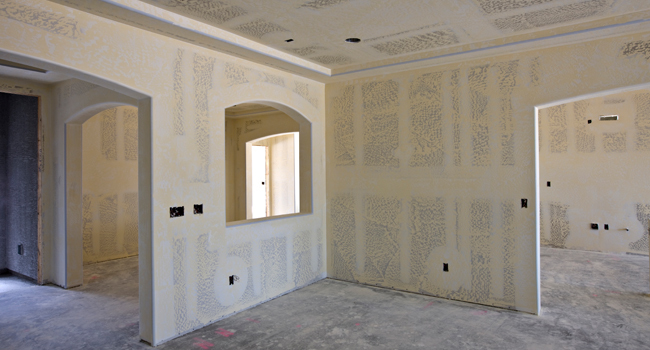 Scott Moore Plasterers can provide a comprehensive Plasterboard Installation and Plaster Boarding Service including all aspects of studwork, with a top coat of plaster skimmed over it all to give a smooth finish to your walls which is ideal for decorating. We work both independently and in collaboration with several loft conversion specialist building contractors to bring a smooth finishes to internal wall surfaces once they have completed the structural building work.